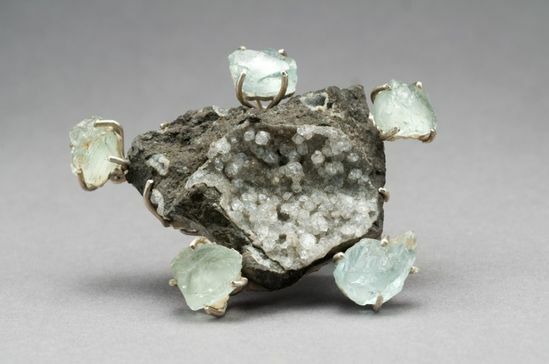 The work of Regine Schwarzer is influenced by the crystalline structure of rocks and minerals. 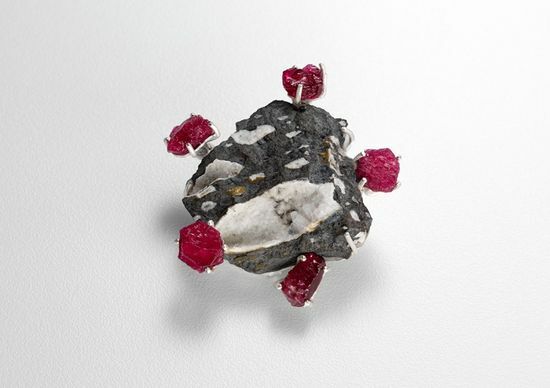 Schwarzer cuts her own stones and uses the geometry of gems as a design element, but more recently she has begun experimenting with fusing crushed and ground minerals onto metal surfaces with base enamel. 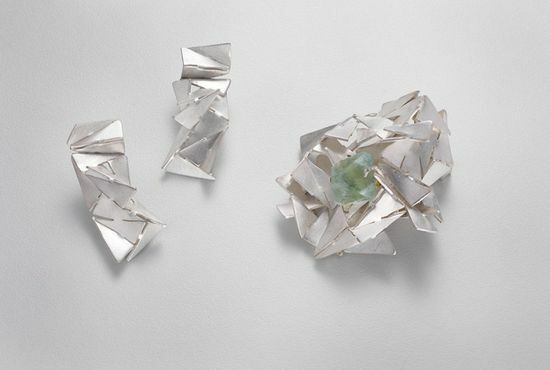 This exhibition is a collection of new sculptural forms that adorn both body and space, that showcase Schwarzers mastery of the mineral kingdon. 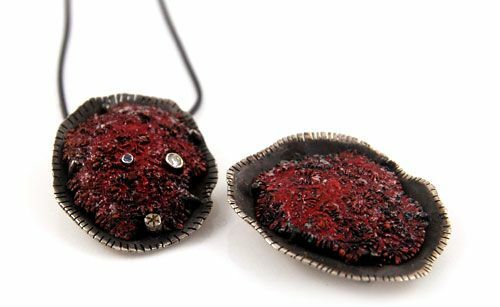 Adelaide Central Gallery will stage a survey of most recent works by 15 South Australian Jewellers in the exhibition Covet. The exhibition features works by both established and emerging artists. 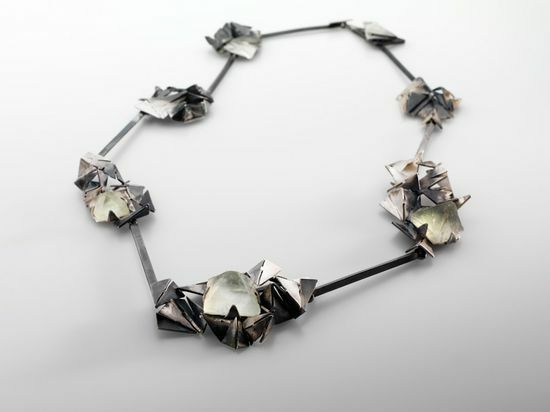 The first exhibition devoted solely to jewellery to be staged at Adelaide Central Gallery will feature not only jewellery but also works that relate to the body but are not strictly considered jewellery. 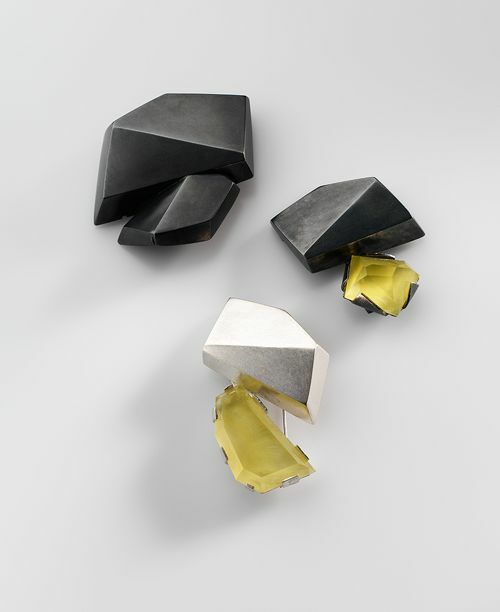 These include sculptural pieces that will either be hung on the wall or suspended from the Gallery ceiling. Adelaide Central School of Art Inc (ACSA) is an independent, not-for-profit, accredited Higher Education Provider that provides intensive training for students looking to develop a career as a practising artist. The ACSA Gallery is an integral part of the school’s teaching program.